There IS school on Thursday, April 18, and Tuesday, April 23. These are snow make-up days. Friday, April 19, and Monday, April 22, remain as Spring Break no-school days. Cascade Jr./Sr. High School of W.D. The Western Dubuque Community School District (WDCSD) was formed by the consolidation of many rural school districts. 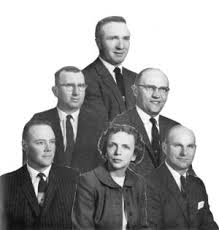 Organized in 1960, our district continues to be comprised of a student body from rural small town settings where a strong work ethic and family values are important. We are proud of our tradition of providing a quality education for our students and invite you to explore the history of our district by clicking the history links on the right.